I've got a big one! Have you tried cutting a tuna tin. They have ring pull tops these days and the bottom is rounded so the can opener does not work properly. Baked bean cans are OK.
4" grinder should do the trick. 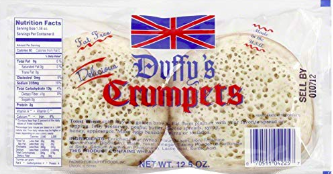 As a bit of an Anglophile I discovered crumpets when I was doing a lot of work in the UK in the 80's. There are most definitely not English muffins, which the ones you buy in Thailand, are nothing more than round bread rolls. 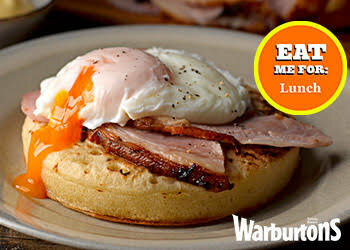 I actually buy crumpets online here in the US since I loved them so much. Yup, 2 for 50p !! Cheshire Cheese sounds a bit like Fetta Cheese ? Are you in Thailand if so where did you buy them? I live in Darwin mate, waiting on the seemingly never ending process of the Australian Partner Visa for my wife. its sort of like motor racing... you sit there as hours turn to days/weeks/months and still nothing happens, but I guess that’s for another forum. Too far away to help unfortunately, could not come at the maple syrup but each to their own. Good luck with the visa did that many years ago kept us waiting 2 years but due to a stuff up by whoever issued her tourist visa she was allowed to stay in Aus on a bridging visa until eventually residency was granted. 8 pages and no crumpet sightings? All you have achieved is gotten me hungry. Personally, butter and marmalade. The butter, bacon and egg though looks great, going to try that with HP sauce.